Talking with Joseph Brain, Professor of Environmental Physiology, in the Department of Environmental Health. The lovely Bertram Inn built in 1907 reflects both Edwardian Tudor & Craftsman style. It was filled with rich colors, period furniture, and warm gracious hospitality. Harvard Medical Buildings north of the Public Health Building which my great Aunt attended. Kelly Sieman, my east coast connection on the 8000 mile ride (and dear friend of many years) arrived in Boston with her friend Christian. Taking a tour of the Isabella Gardner Museum. Christian, Kelly, and I braved a battery of rain walking to the museum but it was well worth the trouble. Had time to visit the Isabella Stewart Gardner Museum.The museum houses an art collection of world importance, including significant examples of European, Asian, and American art, from paintings and sculpture to tapestries and decorative arts. Breathtaking! Boston’s streets were clean, quiet, filled with people bicycling and walking. Large broad-leaf trees shaded and cast lovely evening shadows that encouraged late night strolling. I can not thank Heather Mumford enough for not only inviting me to speak at Harvard but also for her work as an archivist and highlighting my great Aunt Linda’s life. Andra is correct. We would request that someone provide info and images after Bernice has concluded her speech at your facility, whereupon we shall publish a summary on the LRG News page. Meanwhile, I believe it may help those at Harvard to understand the equestrian side of this unique story and situation. Vladimir Fissenko of Russia, who rode 19,000 miles from Patagonia to Alaska. Though we are used to dealing with remarkable individuals at the Guild, Bernice achieved a special place in Long Rider history. 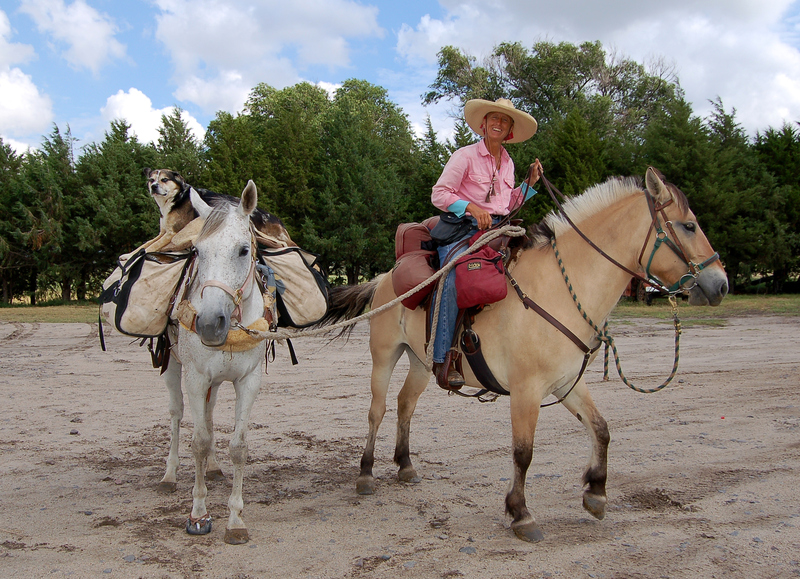 Bernice Ende’s singular journey into equestrian travel history began in 2005 when she rode from her home to New Mexico. 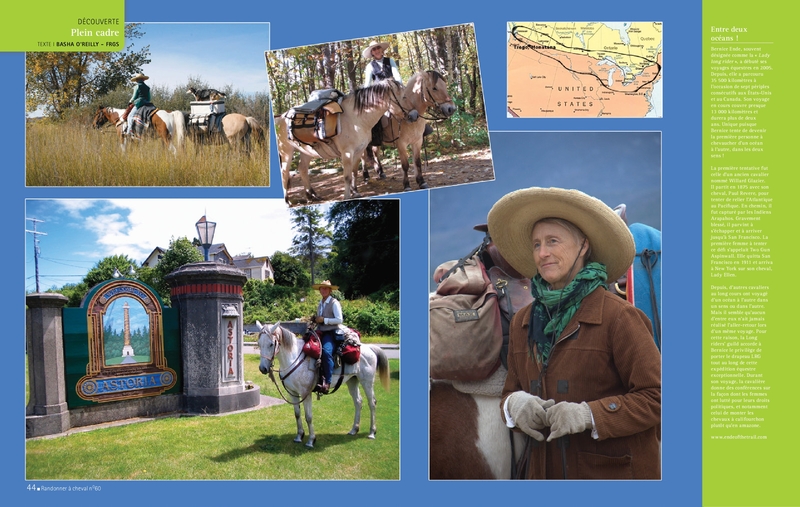 In the subsequent years she made numerous other trips across the United States and Canada, which resulted in her riding more than 25,000 miles. Yet equestrian travel is not a competitive event. Counting miles is akin to watching the odometer spin endlessly on an automobile’s dashboard. What set Bernice apart was that she carried a message of historical significance, one that had been passed down by female champions from the past. In 2016 Bernice became the first person to attempt to ride “ocean to ocean” across the United States in both directions on the same journey. 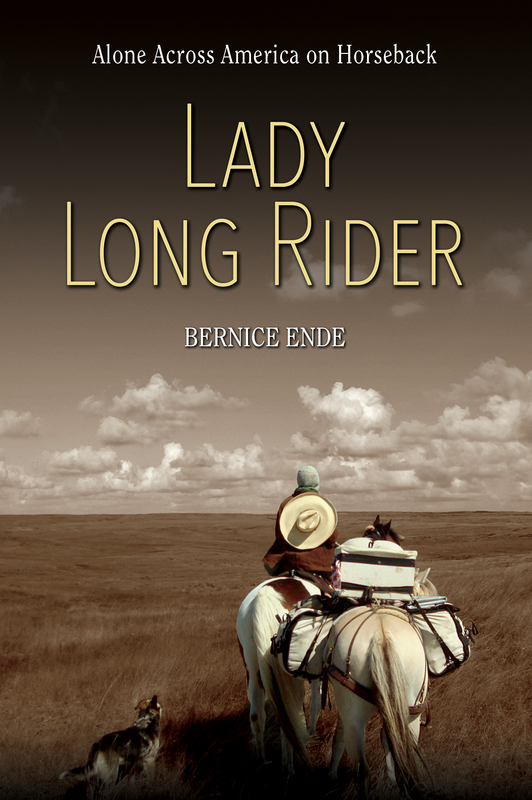 Not only was this journey of geographic importance, Bernice used the opportunity to inform the public about the vital role played in society and politics by suffragettes and “lady Long Riders” such as herself. Because this journey was deemed to be so unique, Bernice is among the few equestrian explorers to have carried the Guild flag on an international expedition. Soon after the journey began, the story jumped the Atlantic and was shared in Randonee a Cheval, France’s premier equestrian magazine. Bernice reached the Atlantic Ocean at the Rachel Carson Wildlife Refuge in Maine on October 8, 2015. She reached the Pacific Ocean at Bay View State Park in Washington on June 17, 2016. The 8,000 mile journey, which began in Montana in 2014, took more than two years to complete. This resulted in Bernice’s journey being listed in the Guild’s Hall of Records. Thus, the inspirational example set by Linda James Benitt has spread beyond Harvard and is now urging others to follow their dreams – like Bernice did. And that is a concept which is not restricted to one age, campus or country. In closing, we look forward to receiving news and images of this celebratory event.